There are so many different facets to parenting, that praising children for their successes and accomplishments seem like a given. It sounds like it should be the easiest thing to do, especially since any parent would love to be able to celebrate things their child has done whether it be doing their homework, remembering their chores, or winning a prize. But praise can also lead to arrogance, and negative comments can be disheartening. She also suggests offering kids ten positive comments for every negative one. Praise is often seen as enough of a reward, and provides satisfying amounts of incentive for kids to do good and to keep trying their best. And while negative comments can be hurtful, they can still help steer kids towards making better choices while also teaching them that it’s okay to make mistakes, especially if they learn from them. It’s also important that parents notice what they offer praise for. Is it for behavior or innate qualities? Things like compassion, consideration, and dedication are all great qualities to have. But praising children for being smart can be tricky sometimes. The American Psychological Association recently published a report that discussed a group of fifth graders that were asked to complete a series of math problems. Some children were given praise for being smart whereas others were given praise for their hard work. The children who were praised for their intelligence ultimately performed poorly, perhaps because they believed that their smarts would help them solve the equations without added effort. The children who were praised for their hard work performed better and proved to be more diligent and persistent in their ability to solve the math problems. Being smart is a great quality, but focusing your praise on the process, not the outcome, can help produce a positive can-do attitude in children, regardless of other innate abilities or characteristics. Additionally, offering praise for a child’s process can still prove to be positive if they do not achieve the result they desired. If a child is smart, and is praised for being smart but gets something wrong, they may begin to doubt their intelligence. But for children who are praised for their hard work and diligent thinking, they may be inspired to keep trying if they know the journey is ultimately worth it. Researchers claim that how you offer praise is more impactful than the words you use. For younger children, making eye contact and using their name proves to be effective, especially since marked moments like these are more likely to be remembered. But the way in which you say things doesn’t completely trump your word choice, either. Outright negative comments are not always productive, so wording things a certain way can help inspire kids to keep trying or to explore another approach to a problem or a certain behavior. You can laud them for their ability to get certain things right, but offer help where they’re struggling while promising to let them try again at a later time. It’s also important to keep tabs on how often you offer praise, too. Too much praise can be damaging, and over time it can lose its power. 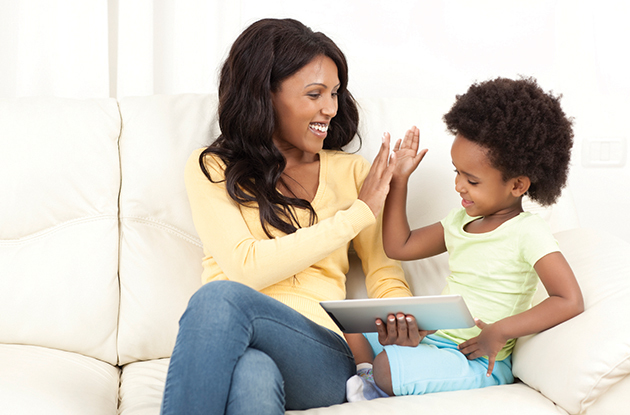 If a child hears “good job” often enough, it may not mean much of anything to them anymore. Try to be selective when it comes to certain accomplishments, but also consider picking out a specific characteristic of their accomplishment that can be focused on – instead of telling your child that you “love” every picture they draw, pick a favorite part of the drawing, whether it’s the use of color or the subject matter. Make each bit of praise count. Overpraising, saying things like “you’re the best” or “you’re the smartest” can also be harmful as well. Parents should want their children to have a healthy sense of self-esteem, but too much can lead to arrogance and unrealistic expectations of the outside world as well. The key is to keep self-esteem and optimism close. Encouraging kids to try harder, and applauding them for their hard work, can go a long way. There are ways you can point out areas where they can improve, but it is vital that you lend a guiding hand instead of push them in a certain direction. Keep things balanced, and pay attention to the little things. For more parenting tips and resources please be sure to follow us here, share with your world and be sure to visit us at www.KDNovelties.com for personalized books for kids where they become the stars of their very own stories.